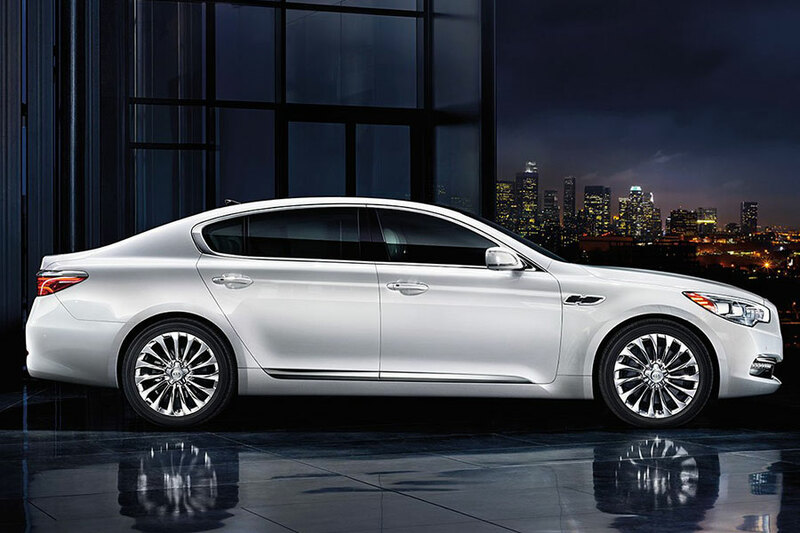 The second generation of the full-size luxury car Kia K900 starts in 2019. This version of the K900 is longer and wider, but that’s not all. In this preview, we’ll show you what to expect from the fully redesigned Kia K900. Kia is stepping away from the coupe look and moving closer to a luxury sedan sensibility. That’s got to be a good thing since the Stinger is the Kia’s coupe and may appreciate having its turf back. The K900 instead focuses on refinement. One place where you’ll notice this change is in the front fascia, which sports a tiger-nose grille with a distinct ripple effect because of its 176 gem-like cells. Our favorite feature is the duplicated pattern in the headlights, giving it a sleek, futuristic design and accentuating its commanding stance. There’s a fair bit more chrome, now found in around the exhaust tips, windows, and grille. The standard 19-inch alloy wheels also have a shiny chrome look. Inside, you’ll find a comfortable cabin, elegantly simple in design. Everything is wrapped in leather, which can be upgraded to high-quality Nappa. Heated and ventilated seats cocoon you in comfort. A wide 12.3-inch touchscreen floats above the dash, as impressive as tech can be in a vehicle. The touchscreen is powered by Kia’s UVO infotainment system. The K900 comes standard with navigation. An optional app allows you to locate your car, remotely start it, and even adjust the cabin temperature from your smartphone. For audiophiles, an optional 17-speaker Harman Kardon/Lexicon audio system offers drivers three modes: Stereo, On Stage, and Audience. The 2019 Kia K900 also boasts ambient lighting that comes in your choice of 64 colors, with 7 of them wholly unique to the K900. You’re going to want something refined yet powerful in a luxury car engine. The Kia K900 delivers. Under the hood sleeps a 3.3-liter twin-turbo V-6 engine. When it roars to life, this twin-turbo generates stellar 365 horsepower and 376 pounds per feet of torque. This engine is paired with an eight-speed automatic transmission. If you want all-wheel drive, you’ve got it. In point of fact, all-wheel drive is actually standard equipment on the K900, along with torque vectoring that intuitively redistributes the power as needed. This effectively makes your all-wheel drive K900 an any-wheel drive vehicle. The only bit of sad news is the 420-horsepower 5.0-liter V-8 engine and rear-wheel drive aren’t offered in 2019. Besides one fewer engine option, presumably cut due to lack of demand, we’re only seeing positive developments in this overhaul. 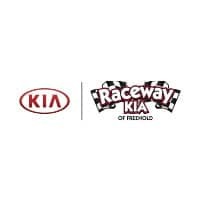 So say hello to the all-new 2019 Kia K900.